For the past 60 years, Carl Wingard Inc. has been the Tri-County's premier supplier and deliverer of home heating oil, gasoline, kerosene and diesel fuels. Those years have taught us about quality work, dependable service, and the value of community relationships. You’ll find a variety of services to fit your fuel and gas needs. Call us today at 610-286-5300 to receive prompt service at competitive rates. 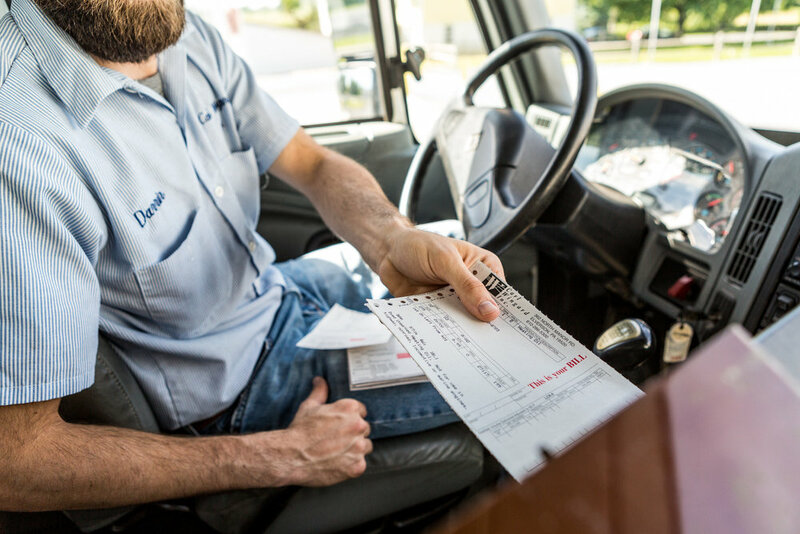 Our trucks deliver heating oil, kerosene, on-road diesel, off-road diesel, and two grades of gasoline. Choose a one time delivery or set up the automatic delivery option that will keep your tank full throughout the year. Carl Wingard Inc. offers 24-hour self-service fuel in Elverson, PA. Stop in today to set up an account and you'll receive cards to access our fuel pumps at your convenience. Do you want to simplify your life? Our budget plan gives you the same monthly payment, every month, for 10 months. As oil prices fluctuate throughout the year, you'll have peace of mind knowing you have a consistent payment plan. Carl Wingard Inc. has been a family owned and operated fuel oil business in Elverson, PA since 1954.